We would like to form an original audio visual curation that reflects and interposes between how minimalism is represented in the various domains: visual art, architecture/space, design, and music. Our proposed space would be the Inspiration Gallery because of the possibilities of it's unusual curved screen. 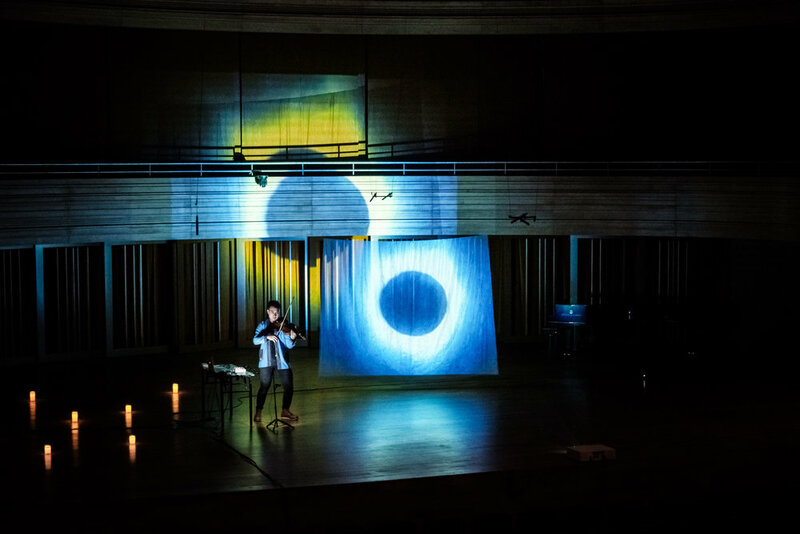 The repertoire for this performative curation would revolve around Steve Reich's Violin Phase, as well as some original pieces of music composed by Theemptybluesky (Mervin Wong). 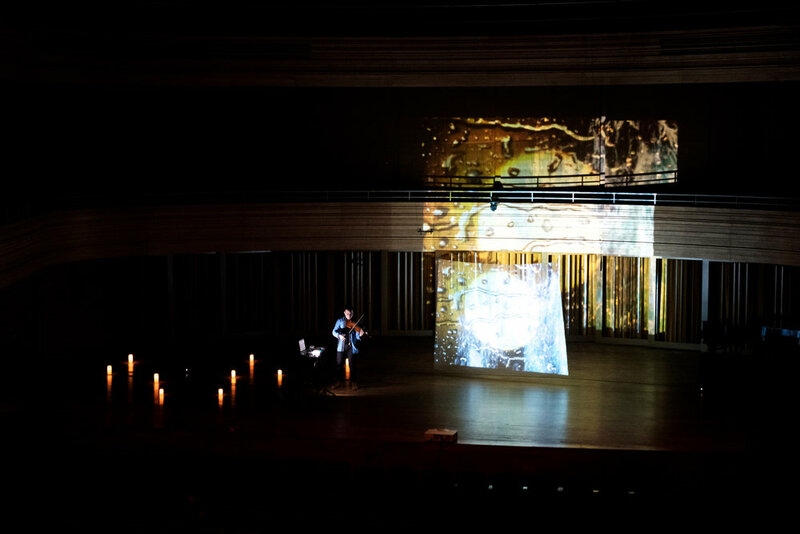 Visuals would be conceptualised and designed to go along with the performance, reflecting on both the artistic and cultural background of the minimalistic phase. 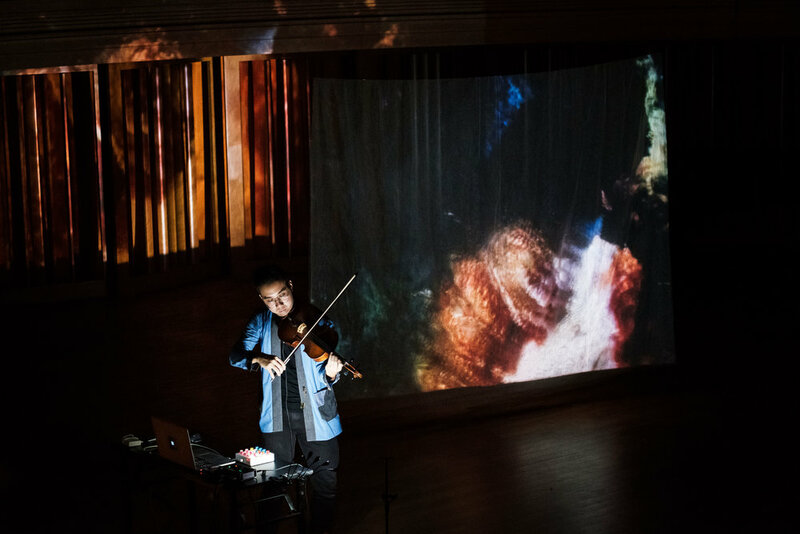 Steve Reich's Violin Phase serves as the reflection point from an 'analog' perspective, while Mervin could explore the sonic possibilities in terms of ambient and electronic textures that reflect the minimalistic phase in music. Performers (Theemptybluesky X Lionel Tan) on a constructed platform/riser in the centre front stage position. I am pleased to share with you States of Mind, A compendium of sounds extracted from the viola producing these States of Mind, it is a piece of sonic art that seeks to reflect upon the world through the lens of Theemptybluesky. We trek through the various faucets of the human condition, the things which make us human, and just the things which make up our lives. We begin with A Tea Ceremony, which explores into the rituals and ceremonies surrounding ayahuasca, the cleansing of the self, the mind, and the ego. Why do we seek escape, or release, especially in the context of today’s hectic world? Veil Beneath a Veil – We have many different ‘veils’, or defences put up by our own psyche, sometimes even so that we hide from ourselves, unaware. Two Same Sides of a Different Coin – If only all could be so simple, what is our true raison d'être? I’ve noticed firsthand how two different people could be all so similar in their beliefs and values, yet what they were reaching for was all vastly different. Time is a Witness – When all but only time is a witness to it all. These ideas may appear cryptic on its surface, because they each relate deeply to events or people I have encountered in my life. At this point I am at a place where I am unable to be able to openly describe the events surrounding these ’states of mind’, hence I’ve penned them down into compositions, or sonic art pieces. Extended Textures is a collection of tracks that I am working on at the moment for official release in 2018.